Misconceptions about the impact of case–control matching remain common. 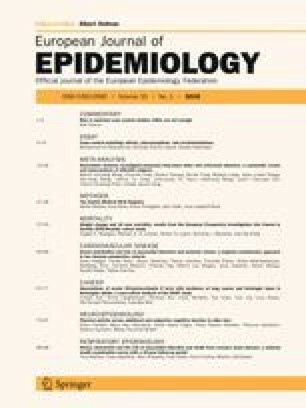 We discuss several subtle problems associated with matched case–control studies that do not arise or are minor in matched cohort studies: (1) matching, even for non-confounders, can create selection bias; (2) matching distorts dose–response relations between matching variables and the outcome; (3) unbiased estimation requires accounting for the actual matching protocol as well as for any residual confounding effects; (4) for efficiency, identically matched groups should be collapsed; (5) matching may harm precision and power; (6) matched analyses may suffer from sparse-data bias, even when using basic sparse-data methods. These problems support advice to limit case–control matching to a few strong well-measured confounders, which would devolve to no matching if no such confounders are measured. On the positive side, odds ratio modification by matched variables can be assessed in matched case–control studies without further data, and when one knows either the distribution of the matching factors or their relation to the outcome in the source population, one can estimate and study patterns in absolute rates. Throughout, we emphasize distinctions from the more intuitive impacts of cohort matching. The authors are grateful to David Clayton and the referees for helpful comments on earlier drafts of this paper. King G, Nielsen R. Why propensity scores should not be used for matching. Vers. 2 Feb. 2016 downloaded from http://j.mp/1FQhySn.